Heavy duty LINE-X coat finish to provide maximum protection for years to come. Bolt on design that installs with simple hand tools. 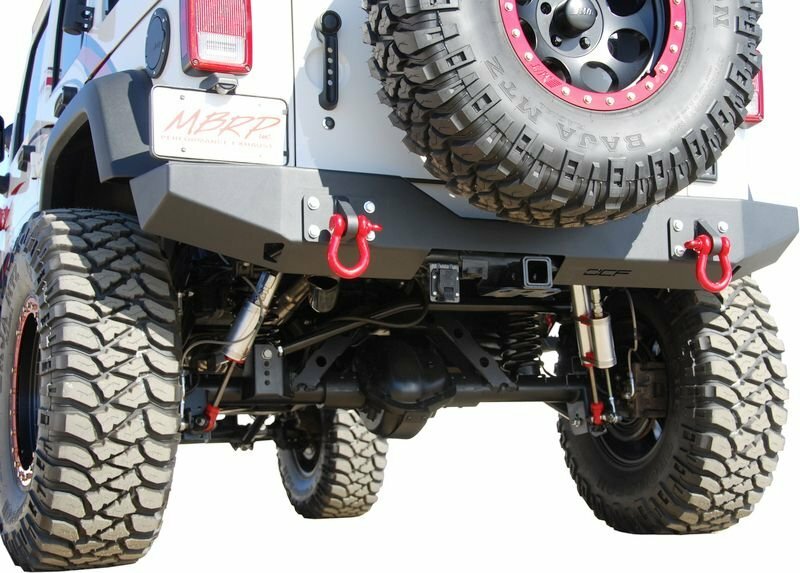 Retains use of the factory installed trailer hitch to ensure proper payload and tow ratings. Heavy gauge CNC laser cut 3/16th steel plate construction. Integrated Hi lift jacking points. Heavy duty LINE-X coat finish to provide maximum protection for years to come. Bolt on design that installs with simple hand tools. Retains use of the factory installed trailer hitch to ensure proper payload and tow ratings. Heavy gauge CNC laser cut 3/16thsteel plate construction. Massive ¼ steel plate mounting brackets.